After dropping off our oldest son for his freshman year of college almost four long hours away from our home, anxiety and fear became my middle-of-the-night companions. For the first several months, any time I would wake in the middle of the night my mind would fill with unwelcome thoughts that quickly tumbled out of control. All of the not knowing where he was and what he was doing at any given hour was beyond unsettling. I was struggling to adjust to this new normal. I would pray, but they were panicked prayers that fueled my fears rather than trusting in the Truth of who God is. Please note: Affiliate links follow. I may receive a small commission should you chose to make a purchase, though you won’t pay a penny more. Your support is appreciated and helps to cover the monthly expenses of this site. Thank you! 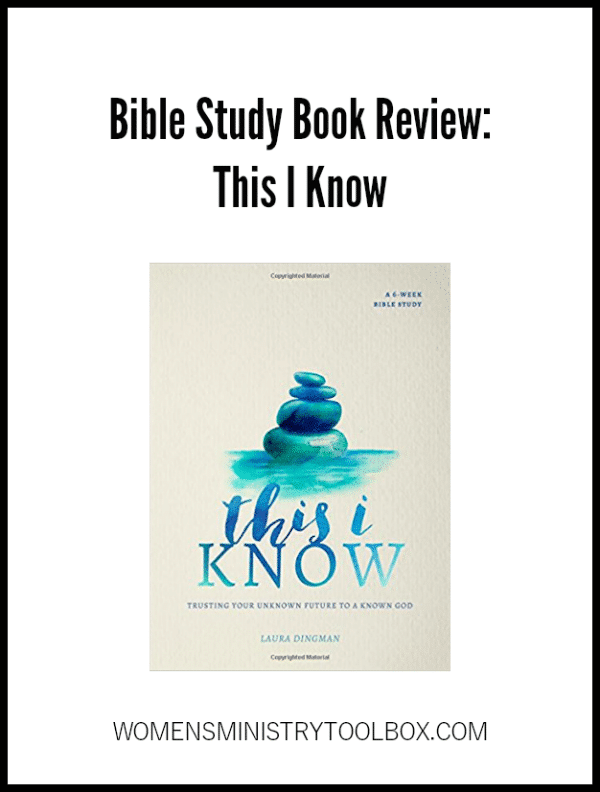 When the opportunity to review the 6-week Bible study, “This I Know: Trusting Your Unknown Future to a Known God”, came up I knew without a doubt, this was a book I needed to check out. Each week of the study begins with an introduction outlining a major truth about knowing God. Five daily lessons unpack statements about who God is. Each week Laura begins with a memory verse. 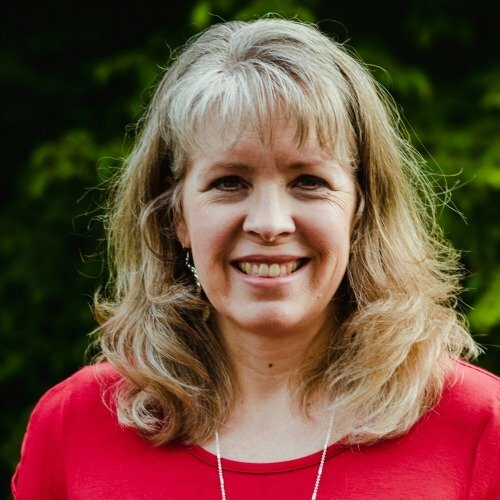 She invites readers to really dig into God’s Word, often sharing cultural and historical facts that help us to better understand what a passage really means. There is a written prayer for each day as well as a journaling prompt. Each week ends with an opportunity to reflect and act. Laura utilizes 2 basic Bible study tools throughout the study. Listen, linger, learn, and live. This method encourages readers to imagine they were real-life witnesses to the Biblical account. Among the questions posed are: What did you see? What did you hear? What do you smell? SOAP Method – Scripture, Observation, Application, and Prayer. One reads through the text, records observations, applies the Truth revealed, and offers up a prayer about what God is calling you to do. 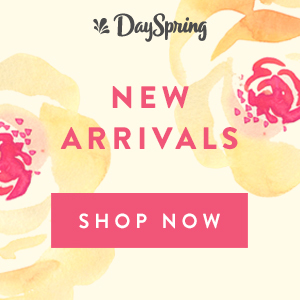 If you and your women have struggled to develop strong Bible study skills, you’re going to have plenty of opportunity to strengthen those muscles! Lessons are packed with information, scriptures, and questions which encourage the reader to go deeper. Laura opens the book by examining two definitions for the Greek word for knowledge. Gnosis – which is factual knowledge (things you know about). Epignosis – experiential knowledge (things you really know). And that, is exactly what Laura leads readers to in this study! An individual study. No group or leader necessary. Laura will lead you through and help you to grow in your knowledge (head and heart) of God. A group study. While you won’t have time to discuss every question posed every week, you’ll certainly have a rich discussion. Note: There is no study leader guide. New Christ followers. Laura does an excellent job of including explanations. Readers with little prior knowledge of the Bible won’t be left behind or left out. Seasoned Christ followers. 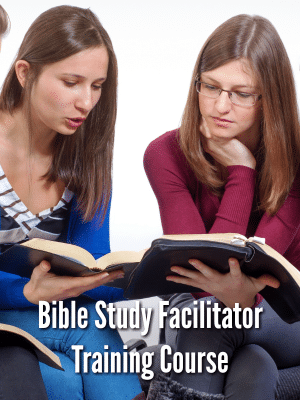 Not only will seasoned Bible study students refine their Bible study skills, but they will find many of the questions challenging and the content deep. No matter how secure our faith in Christ, there are times in life when situations and circumstances shakes us to our core and fear, anxiety, and/or worry rear their ugly head. “This I Know”, can help us to remember God is the “anchor to our present even though we don’t know what the future holds”. Moody Publishing is giving me the opportunity to give one reader a free copy of This I Know: Trusting Your Unknown Future to a Known God. One winner will be selected randomly on Tuesday, March 20, 2018 at 11:59 PM EST. To enter to win, you must leave a comment below. If you’re feeling bold, share a fear or worry that you’re struggling with. Winner must reside in the US and will be contacted via email. Good luck! Disclosure: I received a copy of This I Know: Trusting Your Unknown Future to a Known God to review. No financial compensation was received. All opinions expressed are 100% my own. I invite and encourage you to check this study out! Four years ago: Icebreaker Game: What’s inside your car? I am a school counselor, pastor’s wife, Sunday School teacher, mother, and grandmother. I need this book. I think this would be a great study for our women’s group. I have a friend that is a new believer and I am actually fearing and worrying for her. She has been hit with so much the past 2 months and I can see how it’s hurting her and she’s not sure how to handle the pain and anxiety as a new believer. We just finished a bible study but she has fallen off, saying that she just hasn’t had it in her to pick it up (it is a lot of homework and in the study book, the author mentions several times, “we’ve all read this story a billion times” or “i won’t go into detail about this story because we all know it”. Which I think has made my friend feel a bit awkward as she does not know the bible well. I have been on a hunt to find a great study for her and our group. This sounds like a very nice mixture for us all! Thank you so much for sharing!!! WOW! It would be great to get the free copy. But I’m going to buy this book anyway! ?? I would love to read this book for sure! I have just spoken with my pastor today and am in the very beginning stages of trying to create a propsosal to start a women’s ministry in my church. I think this would be a great resource as I embark on that journey! THIS BOOK DESCRIBES WHAT OUR WOMEN’S GROUP HAS MANY QUESTIONS ABOUT…TRUSTING GOD! WOULD LOVE TO HAVE IT AVAILABLE FOR BIBLE STUDY! I would love to read this book. I am looking for a new study for our group. Being grounded in our faith and trusting God for all things, no matter how small or how big is so vital! I have just come through a period of unrest, fear and anxiety but I know God was still with me. Things have gotten easier and I’m still learning to TRUST!!! My mother has Alzheimer’s disease and is 93 yrs old. I live 600+ miles away and am always thinking that this time ( I visit) May be the last time. It’s hard not knowing what the future holds and how I am going to handle losing my mother someday. This bible study sounds like a good one for me! Just recently at the end of our Bible Study I had laid out some new Studies that we might consider and was very surprised that several ladies went first to the one on “fear”. THIS I KNOW sounds like a timely Bible Study. I know from my own experience that the more I learn about God in His Word, the more peace I have and the more I am able to trust Him. 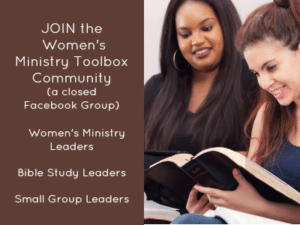 We are looking for a summer study for our Women’s Group! This looks fantastic! When we trust God we can live loved! Fears of the future hit me in waves as I battle Chronic Late Stage Lyme Disease, will I ever reach remission…??? My son is about to begin Law Enforcement School, and I struggle with the fear of him becoming a police officer. I’m at a crossroads in my life. Retirement is near. Lots of unknowns. Lots of opportunities to trust God! sounds like a useful study! Would love to read this study! Sounds like a great study – maybe one I could use with gals in my neighborhood. Sounds like a great summer study for me and some friends. ? I would love this for a friend. Looking for our next study book. This sounds perfect! Thank you for sharing! This is sounding like just the study for my women’s group for 2018! It will work for young and older women alike! Would love to win. I struggle with fear of rejection which is very deep-seeded in my life. Working through it every day! This just may be our next Tuesday night Bible Study! “Trust” is my word of the year for 2018. We’re dealing with a lot of uncertainties and unknowns right now that are shaking us and challenging our faith. This book looks like like it would be a great encouragement to go through. Trust is the foundation for a peaceful and God honoring life. I don’t know anyone who doesn’t need to grow in their trust of the Lord—including myself!